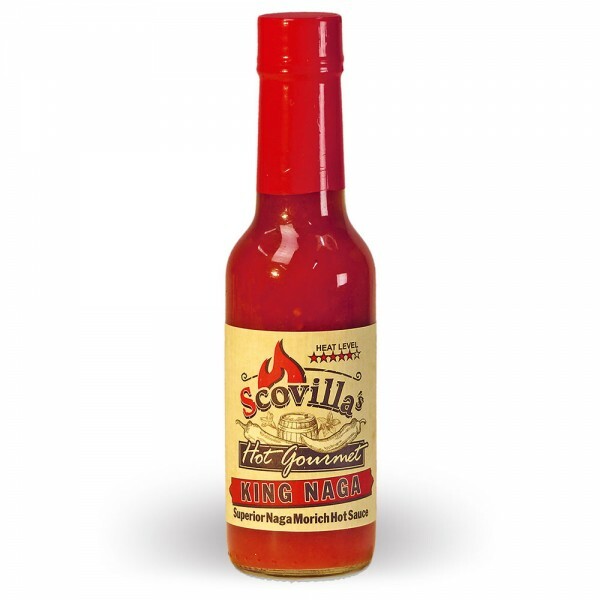 Produktinformationen "Scovillas Hot Gourmet KING NAGA Superior Naga Morich Hot Sauce, 148ml"
Weiterführende Links zu "Scovillas Hot Gourmet KING NAGA Superior Naga Morich Hot Sauce, 148ml"
Unser Kommentar zu "Scovillas Hot Gourmet KING NAGA Superior Naga Morich Hot Sauce, 148ml"
"Scovilla‘s HOT GOURMET KING NAGA rulez the Chili Nation and is admired world-wide for his tremendous power without uttering a single word. The Clan of Naga Morich represents the redoubtable coronation of the hottest and tastiest siliques which luxuriate under our sun." Kundenbewertungen für "Scovillas Hot Gourmet KING NAGA Superior Naga Morich Hot Sauce, 148ml"